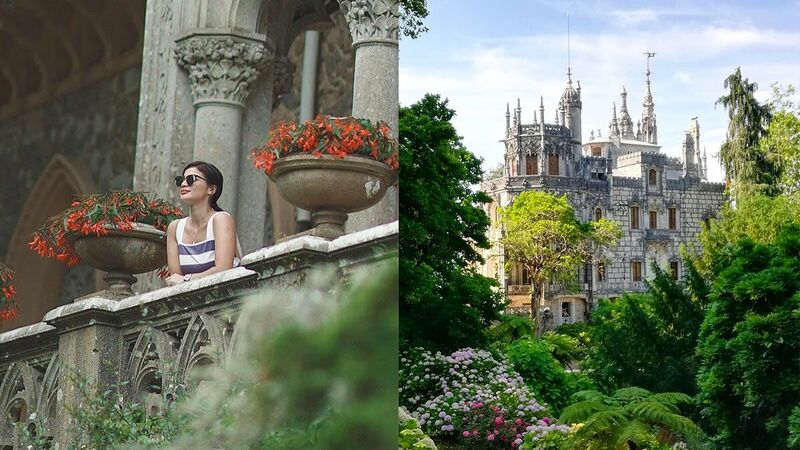 If you follow Anne Curtis, Erwan Heussaff, Solenn Heussaff, and Nico Bolzico on Instagram, then you know they were recently in Lisbon for a wedding. If this made you curious about Portugal, there’s a place you definitely shouldn’t skip—Sintra. 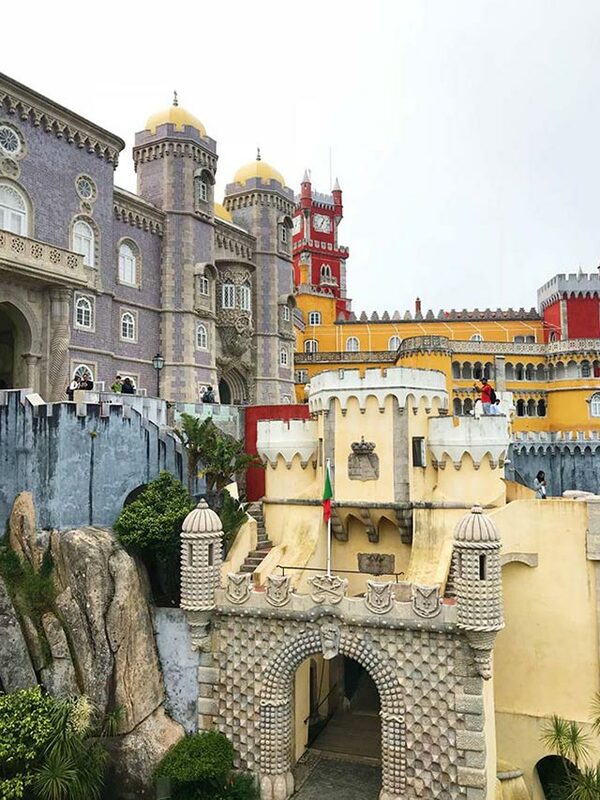 This hilly resort town less than an hour away from Lisbon is dotted with colorful royal retreats, estates, and castles, each with its own personality that are yes, totally Insta-worthy. A day trip is not enough to see all that this town has to offer and Google will only confuse you because there’s so much to see. So if you only have a few hours to spend, here’s the checklist you should bookmark, now. Any tour guide would tell you to visit the Peña Palace first. Known for the whimsical vibe of its colorful exterior, it’s definitely a palace you won’t see anywhere else in Europe. This is why aside from being a UNESCO World Heritage site, it is also one of the Seven Wonders of Portugal. The romanticist castle is situated on top of the Sintra mountains so visit it first to have plenty of time so take lots of photos in its vast gardens and the vibrant palace. Quinta da Regaleira is a castle one would think only exists in fairy tales. Complete with carved gargoyles and a gothic façade, mystical underground caves, hidden tunnels and creepy wells (some say the nine levels represent Dante’s nine circles of hell), allow this palace to transport you to a world of magic. With references to the Knights Templar, the Masons and dark alchemy, all hidden within the grounds, Quinta da Regaleira is the perfect combination of enchantment and mystery that would tickle any tourist’s fancy. One of the hidden gems of Sintra is the Monserrate Palace. Imagine the flawless coming together of Arabic, gothic and Indian architectural styles, ironically designed and brought to life by a British architect, that in itself is already enough reason to visit. To top it off, the complex is enveloped by award-winning gardens that have also been declared as a World Heritage Cultural Landscape by UNESCO. This site will surely make you feel like you’re in India or Morocco. One of the last great Rococo buildings in Europe, the Palace of Queluz is often referred to as the Portuguese Versailles. If it’s palacial you want, then this is it. The grand court summer residence houses an important collection of decorative art, Portuguese furniture, paintings, carpets, porcelain and tiles that will give you a thorough glimpse into the lives of the royals. The best part? Every nook and cranny has potential for a superb OOTD backdrop. If you have more than just a few hours to spend in Sintra, then great. But if your itinerary only allows you one full day, these four majestic spots should be enough to fill you in with what Portugal has to offer.